Neptune Systems was a big player at MACNA once again, and it wasn’t just new hardware that they were rolling out. 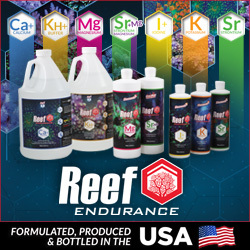 Their biggest news is the release of their Fusion dashboard, which is a brand new interface that allows aquarium control freaks to access and modify the settings on their Apex controller via the cloud through all sorts of different Internet capable devices. Oooohhh, the cloooouuuud. 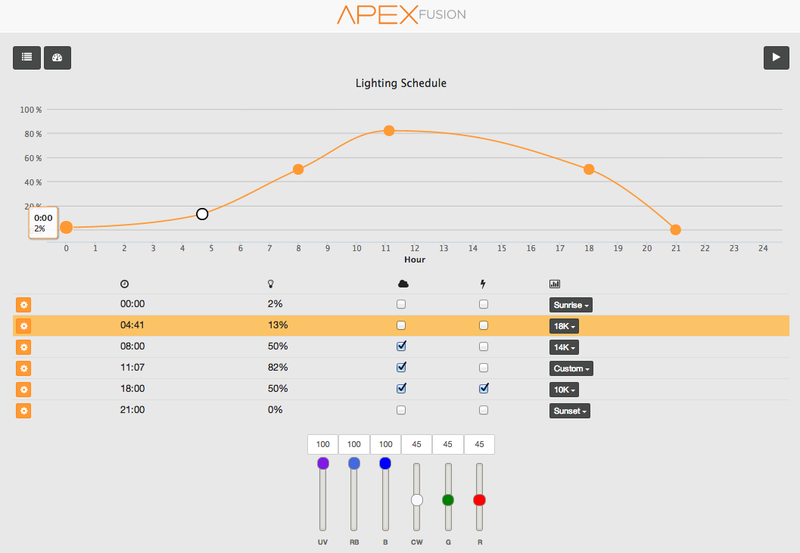 The benefit to the Apex Fusion is that it is located entirely on the Neptune System servers, which not only gives more firepower to the software, but also streamlines the entire user experience in the process. This streamlining will be primarily accomplished through the use of wizards, such as the Lighting Wizard on display at the show, and by taking away some of the programming barriers that make wireless connection a challenge for those not well versed in programming and network design. Neptune Systems designed the Fusion dashboard with a mobile first mentality. This means that it was built specifically for mobile devices before making its way onto the computer. It’s an approach that is becoming far more common as our population continues its push towards mobility, and something we can truly appreciate as reef keepers constantly on the go. Neptune Systems promises that there are no differences in features between mobile platforms and the computer versions, meaning that the mobile dashboard isn’t some watered down version of the full platform. With mobile devices, you’re getting the full package. As for the wizards, this is the area that we think the Apex Fusion will truly shine. Users can create and share their own wizards for a variety of different controller modules, thereby eliminating the need to make new device profiles each time they want to make a change. For example, Neptune Systems had a unified LED Lighting Wizard on display that allow for users to change their light fixtures without having to reprogram the lights. 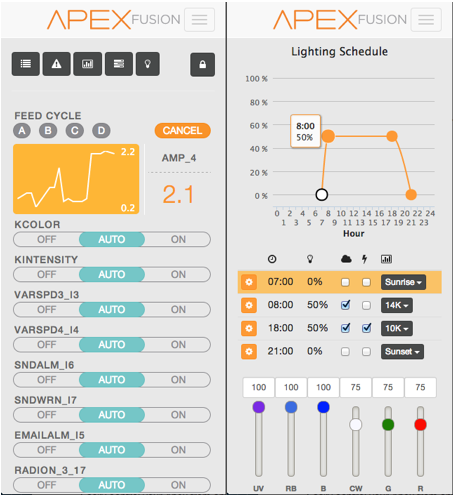 The interface is said to stay the same for the EcoTech Marine Radion, AquaIllumination Hydra, the Kessil A360, or even a do-it-yourself fixture without having to change a thing…and that’s where the Apex Ready system really shows its strength. The Fusion dashboard isn’t available yet, but Neptune Systems stated that they will announce the beta release of the platform soon, and that it should be available in a couple of months. Details of the software and screen shots taken from: Neptune Systems MACNA 2013 Announcements Round Up.